Primo kicks Anderson on the floor and then they return to the ring. Primo with a slingshot senton for a near fall. Primo with a cobra clutch. Epico tags in and he kicks Anderson and then connects with punches to the head. Epico with a delayed vertical suplex for a near fall. Sheamus tags in and he argues with Epico. Sheamus with a knee to Anderson and he tags Cesaro in. Cesaro gets a near fall and then applies a reverse chin lock. Anderson with a belly-to-back suplex to escape the hold and both men are down. Primo tags back in and he tells Cesaro to go to the apron. Anderson with forearms that stagger Primo. Primo sends Anderson to the mat and apron. Primo gets a near fall. Primo chokes Anderson in the ropes and misses the splash to teh back. Cesaro tags in and he pushes Primo. Epico and Primo push Cesaro and Sheamus and then all four men exchange punches. 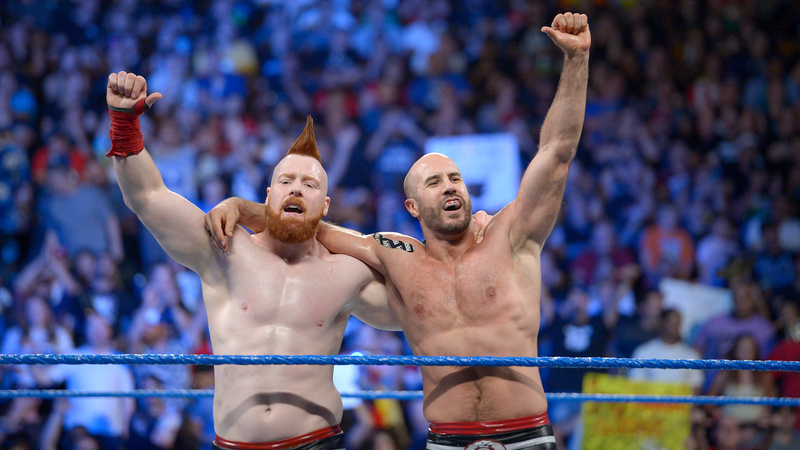 Cesaro kicks Gallows down on the apron and Sheamus tags in. 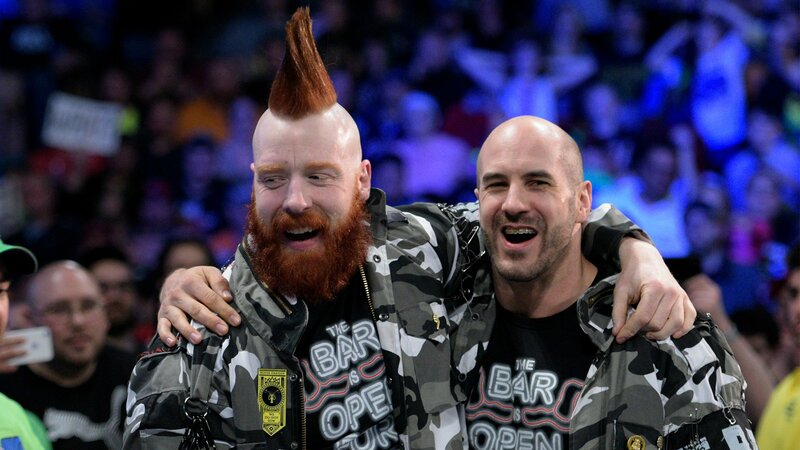 Sheamus gets Anderson on his knee and Cesaro with an elbow drop for a near fall. Sheamus with a back breaker on his shoulder. Anderson with elbows to get out of the hold and Anderson with a jumping neck breaker. Gallows and Cesaro tag in and Gallows with clotheslines and an uppercut. Gallows with a splash into the corner followed by a round kick to the head. Gallows with a boot to Epico. Gallows with a pump handle slam followed by a splash for a near fall. Gallows runs into a boot and Primo tags in and comes off the turnbuckles into a super kick. Gallows gets a near fall that is broken up by Sheamus. Anderson with a spinebuster. Gallows and Anderson with a belly-to-back suplex and neck breaker combination. They set for the Magic Killer but Epico with a lungblower on Anderson. They hit a double lungblower on Gallows but Cesaro tags in and he pins Gallows. 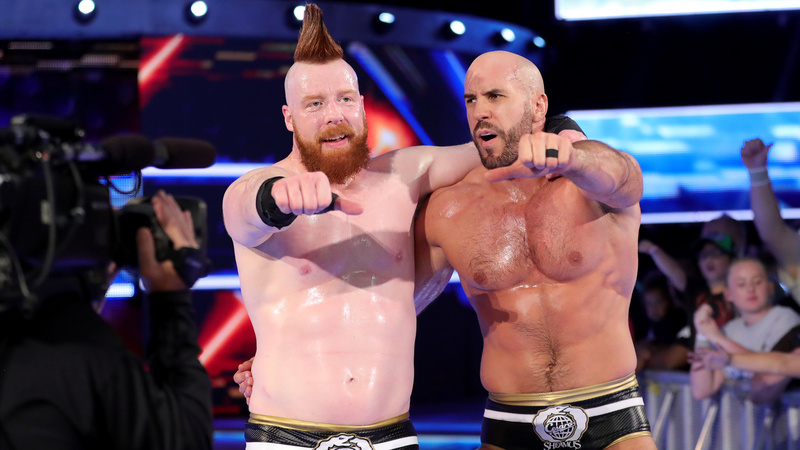 We go to ringside where Cesaro and Sheamus show that they are not pancake fans. 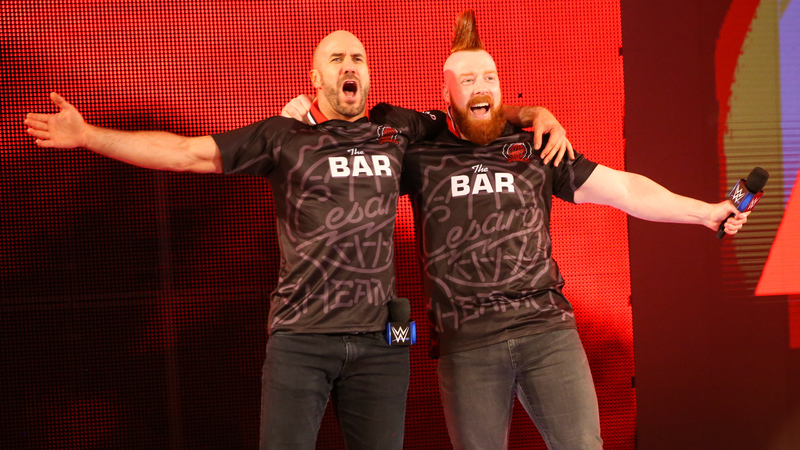 Sheamus and Cesaro walk in the back with their contracts and they see The New Day. Kofi asks who do we have here? The two dudes who said they would win the Raw Tag Titles and go back to Raw. Wha happened? 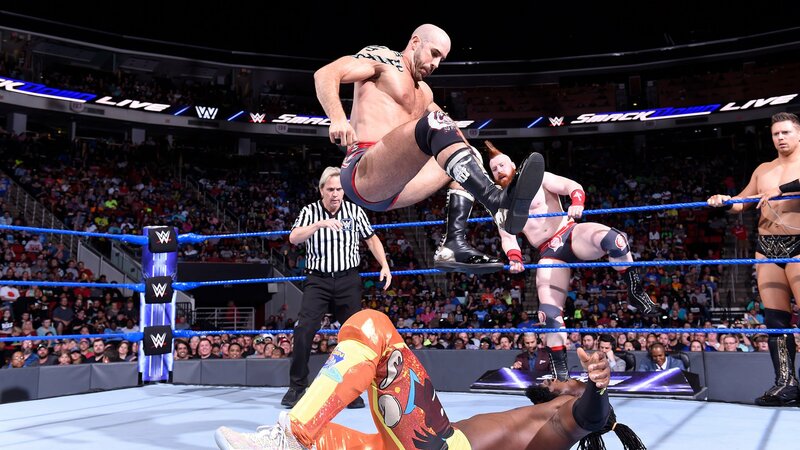 Cesaro says they always wanted to stay on Smackdown so they can flatten the New day like pancakes. Xavier rings his bell and Mr. Bootyworth has a tray of pancakes for Sheamus and Cesaro. Cesaro asks if they put laxatives in the pancakes and the New Day say they wouldn’t do that. Cesaro throws the tray in the air. Sheamus says they should have a match tonight. Big E accepts the challenge, but Sheamus says he was talking to Woods and he asks Short Stack. Woods tells Sheamus that his soul is his. They lock up and Sheamus sends Woods to the mat and he does it a second time. Sheamus runs Woods into the turnbuckles and then Irish whips him. Woods with a knee and chops. Sheamus with an Irish whip and Woods floats over and hits a drop kick to the knee. Sheamus catches Woods and pushes him away. Woods with a rolling elbow and drop kick to send Sheamus to the floor. Woods with a plancha onto Sheamus. Cesaro distracts Woods on the floor and Sheamus with a knee to Woods on the apron. Sheamus gets a near fall. Sheamus with forearms across the chest and then he sends Woods throat first into the bottom rope. Sheamus chokes Woods with his boot and then he hits a short arm clothesline. Sheamus with a knee drop to the back and he applies a top wrist lock. Woods with a jaw breaker and then he is sent to the apron. Sheamus with forearms and then he hits forearms across the chest. Woods drops Sheamus on the top rope but Sheamus with a punch and knee drop. Sheamus returns to the top wrist lock. Woods with punches but Sheamus with a uranage back breaker. Woods with punches and chops but Sheamus with a punch. Woods lands on his feet on a belly-to-back suplex attempt. Woods with a knee to the head. Woods is sent into the corner but Sheamus misses a charge into the corner and hits the ring post. Woods with a leg drop for a near fall. Woods goes up top and leaps over Sheamus. Sheamus with a near fall. Woods with a Shining Wizard and then he goes up top but Cesaro distracts Woods. Cesaro sends Big E into the ring post. Woods with a baseball slide to Cesaro but Sheamus sends him into the ringside barrier. Woods with an inside cradle for the three count.